Three cards, three times the fun. At WinStar World Casino and Resort, we know poker. So you better believe our staff can deal a mean hand of 3-Card Poker. 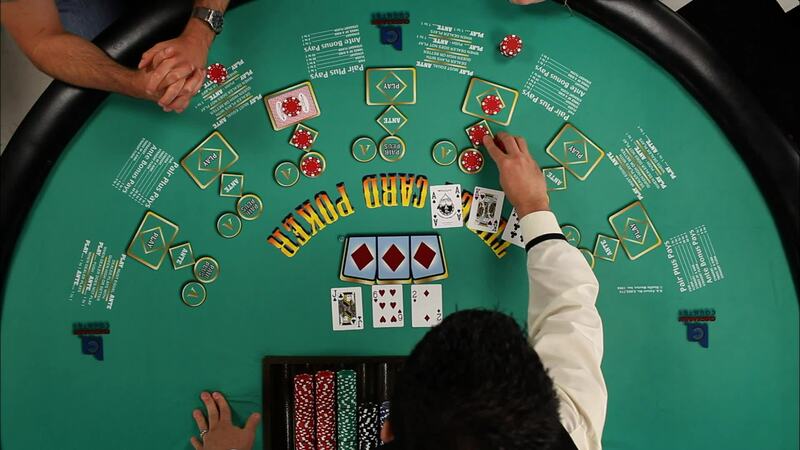 Invented in 1994 by Derek Webb, this fast-paced card game allows the player to not only bet against the house like traditional poker, but also on the odds of a player getting a pair or better. The added bet ensures that every round is exhilarating. See what everyone is so excited about. Craps at WinStar is a wild ride of thrill and chance. Playing EZ Baccarat has never been easier. Up the stakes. Lose the commission. Give EZ Baccarat a shot and you might never go back! The best in Texas Hold ‘Em is just north of Texas. The best in Texas Hold ‘Em is just north of Texas. When you play Ultimate Texas Hold ‘Em at WinStar, it’s sure to be a wild ride.